Having a lot of pain from a tooth? Is there unbearable pain that can only be relieved by having a tooth pulled? Schedule an appointment today and we’ll see what we can do. Dr. Khan will take a look at where the pain is coming from and diagnose the problem. We will take the necessary steps to ensure you are not in any discomfort and that you can get back to your life, pain free. Emergency extractions may be required if a tooth is decayed, if there is any pathology affecting the mouth or if there is trauma to the mouth and teeth. 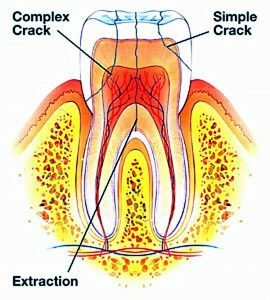 Another reason for an emergency extraction may be the presence of an abscess in the oral cavity or in the gums. An abscess is a pocket of pus that is the result of an infection in the mouth. If left untreated, abscesses can decay teeth, bone and gum, leading to pair and loss of structure. If you think you may need to have an emergency extraction, call us immediately for an appointment.